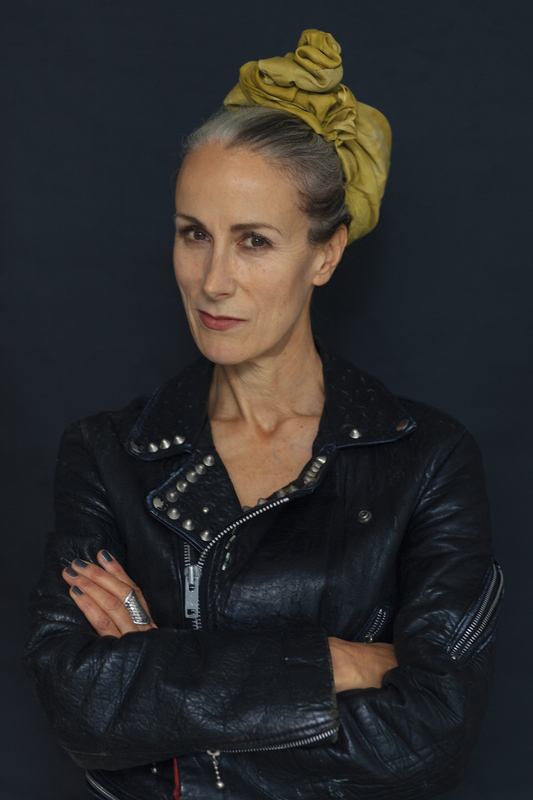 Caryn Franklin (MBE) is a disruptive fashion lover. In an industry stereotyped by dramatic, Prada bag-wielding divas and sad-looking models, Caryn’s fierce optimism and good-natured spirit shows that sassy attitudes are not only uncool, but unhealthy too. As the former fashion editor of i-D during the ‘80s, she has since focused on identity politics and the power of fashion to create positive narratives about individuality. In this fifth instalment for Fashion Unlearned, Address contributor Emily McGuire spoke with Caryn to discuss sustainability in her own terms – mental health in fashion. Emily McGuire: What frustrates you the most about the current state of the fashion industry? Caryn Franklin: Creativity is being undermined by capitalism. I suppose by that I mean that most people who are attracted to fashion are very sensitive and very emotional but they are in service to a machine that demands a quarterly profit return increase. The investment of industrialists in the process has turned everything into a very bullying, oppressive, objective and predatory environment. This means that there’s a lot of people who are struggling to remain connected with the thing that attracted them to working in fashion. A lot of people are really having to prioritise looking after their mental health. I question whether their training has given them enough tools to do that. I think we need to connect ideas of diversity and sustainability more clearly because ultimately, it’s the images of beauty that we’re chasing, which motivates unsustainable practices in the supply chain. We should be asking, what’s worth sustaining in fashion when it comes to our ideals? I often get invited to talk about sourcing sustainability but I never keep it there. I broaden it to emotional sustainability because it’s about self-esteem for the wearer and the worker. It’s a bigger, overall umbrella. Within fashion, there are a lot of workers who are holding up a system that undermines them. That’s what led me to to study psychology at a Master of Science level so I could begin to examine the way thinking is driven by cognitive process and social acculturation. Without wanting to make that sound grander than it is, it gave me the tools to seek more knowledge to help me explain to myself and others the way that we, in fashion, behave. I think that to some extent, there’s still a sense of exclusivity around scholarship that sits beyond ideas of repair and reuse. I often wonder how we can make sure that some of the biggest and most vulnerable groups can see the value in taking action for themselves and the industry. That’s where we’re at in many ways. My recent recommendations to Business of Fashion focused on the importance of an independent regulatory body, because self-regulation has been proven not to work. This alone is not enough to create a cultural shift. We need a regulatory body in which everybody is a stakeholder so that actions which prop up the old system are seen as no good. We need to cultivate diverse perspectives throughout education so that a range of voices are given space to educate. You know, we’ve had very little contribution to the system at the CEO level from women, and many of the women who have been in positions of power are acculturated to dominant culture thinking. The example I would give to that when people ask, ‘what do you mean?’ is the Suffragette movement. For as many women as there were fighting for the vote, there were just as many opposing them, saying, ‘you should leave the system alone, it’s good enough as it is’. ‘I’m personally benefiting.’ ‘I will oversee your imprisonment and the brutality that will be meted out to you as a Suffragette because I don’t want you to rock the boat’. So, we have many women in the system who have been acculturated to believe it’s OK as it is. What else needs to be done in fashion education to encourage students to challenge the traditional pathways and romantic ideals that shape the industry? Universities recognise that they want to broaden the experience and understanding of students, there are now many of us out there if you start looking for us. I made connections with Dr Ben Barry at the Ryerson University. He’s created this whole module around diversity as a social science movement, which is then applied to fashion. He’s having amazing success and I find his work very inspirational. That’s also what we instigated in the UK through our Diversity NOW competition and our work setting up the Diversity Network in Scotland at Edinburgh School of Art. Part of the challenge is getting this information out there and empowering young creatives. Within institutions, it can be hard to reach different departments because they’re often so massive and decentralised. So, being able to say, ‘I’d like to share this with you and your students’ can be difficult. This is why social networking is so amazing. Many people engaging in social media are doing so at a very young age. Their own development compels them to seek membership with other like minded groups. If everybody felt they could use a big part of their social networking time learning, as opposed to engaging in social comparison, it might offer real benefits to their mental health. What’s worth sustaining in fashion? Hope. Every single person who enters fashion can create a positive message and be part of a positive community that uses fashion to inspire change about different things. On a very mundane level, we all need to wear clothes. But we don’t need to buy and be addicted in the way that we are to machine that looks to undermine us in order to feed itself. If we felt able to engage in fashion in a different way, both as an audience and as practitioners we could become stakeholders in change. The thing that I love and am energised by, is the hope of the human spirit – that we can give the best of ourselves and make things right for others. I think that’s what we’re all, ultimately, guided towards doing and that’s how we’ve flourished. I say to all my students, ‘You are the change. Using the skills that you’ve got and looking after yourself, build self-love into the process. You can shape a new way forward by the choices you make’. We can make small shifts, we can agree not to be part of something that is undermining by, from a position of humility, asking questions: ‘Why are we doing that?’ In doing so, we empower others to ask questions, too.